Our distinguished guest this morning was Dr. Sue Stuebner, President of Colby-Sawyer College in New London, NH. Thank you to Dr. Stuebner for joining us! 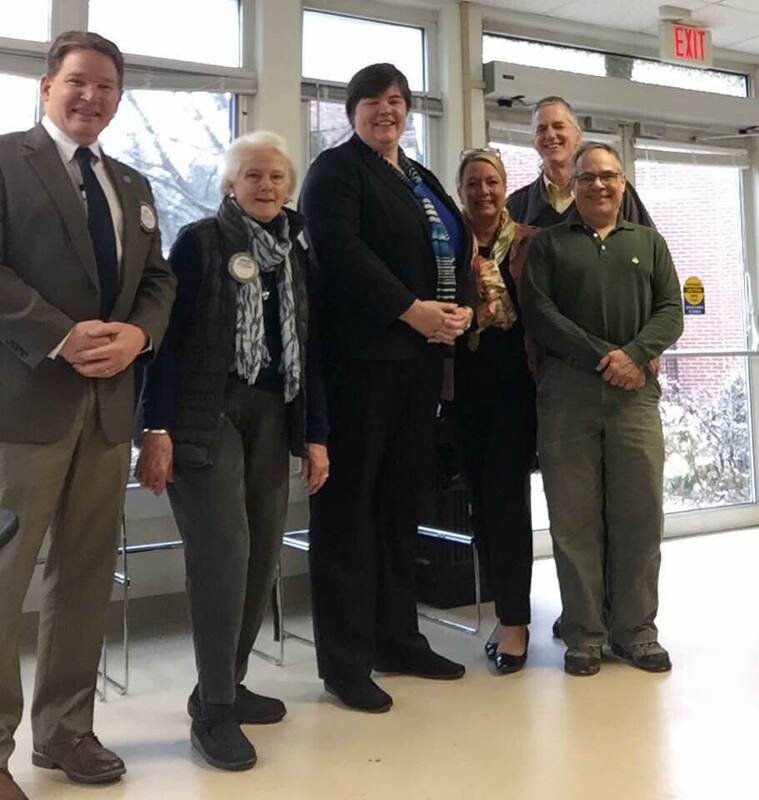 Pictured L to R: Dave Foss, Chief Information Officer, New London Hospital; Carolyn Lockhart, Past President; Dr Sue Stuebner, President Colby-Sawyer College; Beth Camp, Development Officer, Colby-Sawyer College; Carl Hansen, President Elect; Lou Botta, Club President. We were joined by Karen Ebel - NH State Representative for the towns of New London and Newbury. Karen also served on the New London Planning Board for over 15 years. She’s a wealth of knowledge, and we’re so grateful she could join us. 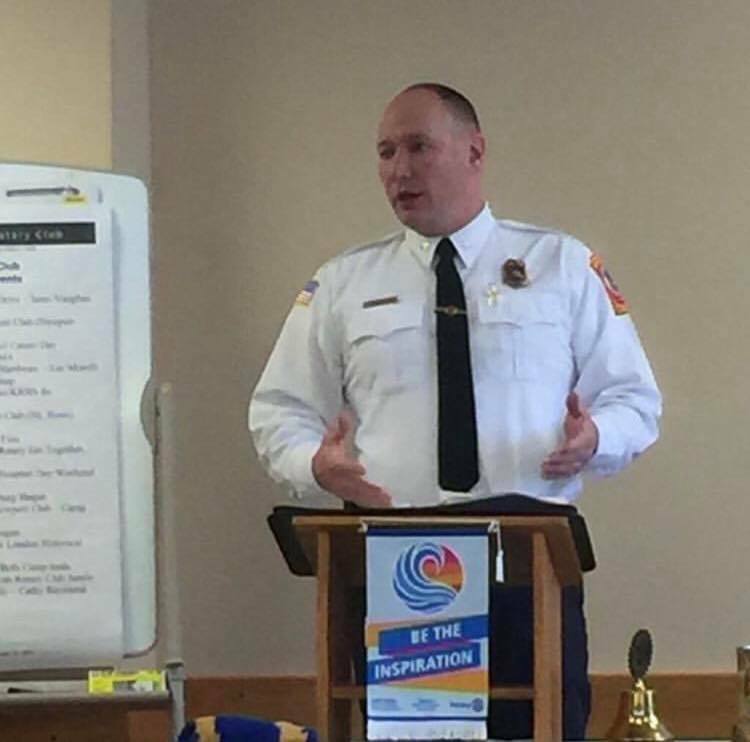 This morning we were joined by guest speaker, Chief Jason Lyon of the New London NH Fire Department (NLFD). Chief Lyon discussed the struggle that many volunteer organizations are encountering - recruitment. Thank you for joining us, Chief Lyon!